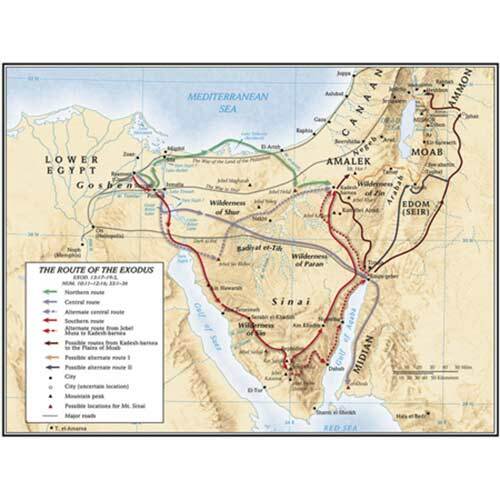 This 19 3/8" X 26", 4-color map details important events, journeys, and people from the Bible. 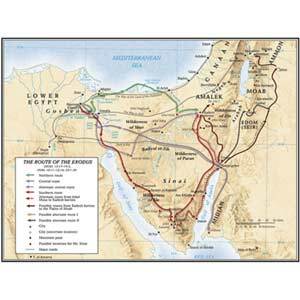 It is taken from the Holman Bible Atlas or Holman Book of Biblical Charts, Maps, and Reconstructions. It is full color on the front and has black and white informational text written by Dr. Tommy Brisco (Professor of Old Testament and Archaeology at Baylor University) on the back.